The small west Texas town of Encedido in Hondo County had much in common with other communities on the southern plains. This story is centered around the lives of an orphan girl named Nicki and a powerful woman with ancestral ties to Spanish aristocracy, Doña Paulita. Powerful rancher Frank Kendall and his family adopt Nicki after her father commits suicide in the county jail. Frank and Paulita share a ranch through common ancestry. After Nicki graduates from high school, she is sent off to the university. This doesn’t suit her interests so she leaves school to compete on the rodeo circuit. By the time she returns to Encedido, Nicki has become a champion rodeo rider. An old friend, David has been railroaded to the county jail. He’s in a desperate situation, having been sent to prison for 4 years in the past because someone withheld testimony that would have freed him. Now, David is fighting to prove his innocence again and he might have a better defense than in the past. Nicki sympathizes with David but Frank has other plans. While David and Frank compete for Nicki’s affections, a county election of unprecedented proportions is getting underway. The stage is set for a stunning climax. A corrupt county government run by powerful Anglos has managed to retain power for generations. David hopes to fight for the opposition and is determined to convince his Hispanic brothers and sisters to run against the corrupt government. He will also lead the fight for a voter turnout that should win the day. He just has to convince them not to cower in the face of opposition. This will require building up their self-esteem. 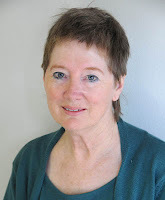 Julia Robb has delivered a rich, well crafted story about life and times in 1960s west Texas. At times, her lyrical descriptions paint scenes of beauty drawn from the sprawling landscapes and towns which she knows so well. 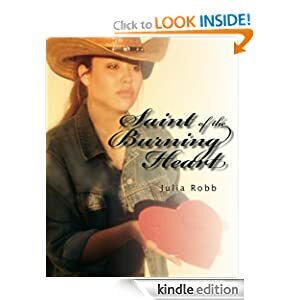 Julia has mastered the language of west Texas in ways similar to Larry McMurtry or John Steinbeck in their works. Don’t expect cookie-cutter characters. These characters are as complex as we all are. Some fail, bounce back and find redemption or retribution. Others stick to their die-hard ways and face the consequences. While the story is told through the eyes of complex characters, it builds with a powerful momentum toward a climax that has plenty of twists, turns and surprises along the way. One character that isn’t listed in the book’s description is a former Pulitzer prize winning journalist who now runs the town newspaper. I found his actions compelling. This review can now be read at Venture Galleries. Julia writes for venturegalleries.com and IAmATexan.com, and is published weekly. She can also be found at juliarobbmar@aol.com, Twitter, Facebook, Pinterest and Amazon.com. When asked to supply biographical details, Julia said her five-times great uncle was shot in the back on the square in Marshall.